We know that our customers have put in many hours of research into choosing a vehicle. It takes a lot of effort to make sure you are getting the best deal. 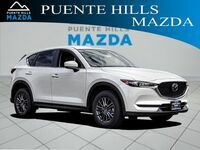 Here at Puente Hills Mazda we swear by Mazda vehicles, and we want to show you why while also speeding up your research. We have many comparison pages already and we will continue to create more to give our customers a side by side comparison of two similar vehicles. This time we are going to compare the 2019 Mazda CX-5 to the 2019 Chevrolet Trax. 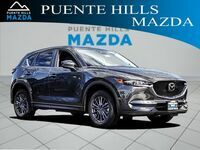 If you have been considering either the 2019 Mazda CX-5 or the 2019 Chevrolet Trax, please read below for a detailed comparison. 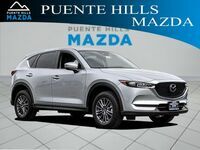 We compared some basic information in the chart above, and we would like to highlight how despite having a smaller engine capacity, the 2019 Mazda CX-5 still performs equally or better in other categories. The smaller engine can create more power than the 2019 Chevrolet Trax vehicle’s engine, and both vehicles can achieve the same fuel economy while on the highway. The extra space inside of the 2019 Mazda CX-5 is just the icing on the cake. Now, let’s talk trim levels. 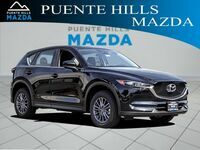 The 2019 Mazda CX-5 comes in five trim levels: The Sport, Touring, Grand Touring, Grand Touring Reserve, and Signature. Meanwhile, the 2019 Chevrolet Trax comes in just three options: The LS, LT, and Premier. Having more or less trim levels is not what makes a vehicle good on its own, but it is always nice to have more options for your purchase. More trim levels equate to more price levels for different budgets and different feature combination options. Our expert sales team here at Puente Hills Mazda is waiting to meet you. They can take you through the process of getting credit approval, although you can also find the form on our website. After that, all you will need to do is choose your vehicle!